While answering a question in another thread, I realized that I’d missed an exciting change which, from the number of hits related pages get, is sure to be of interest to readers of this blog. 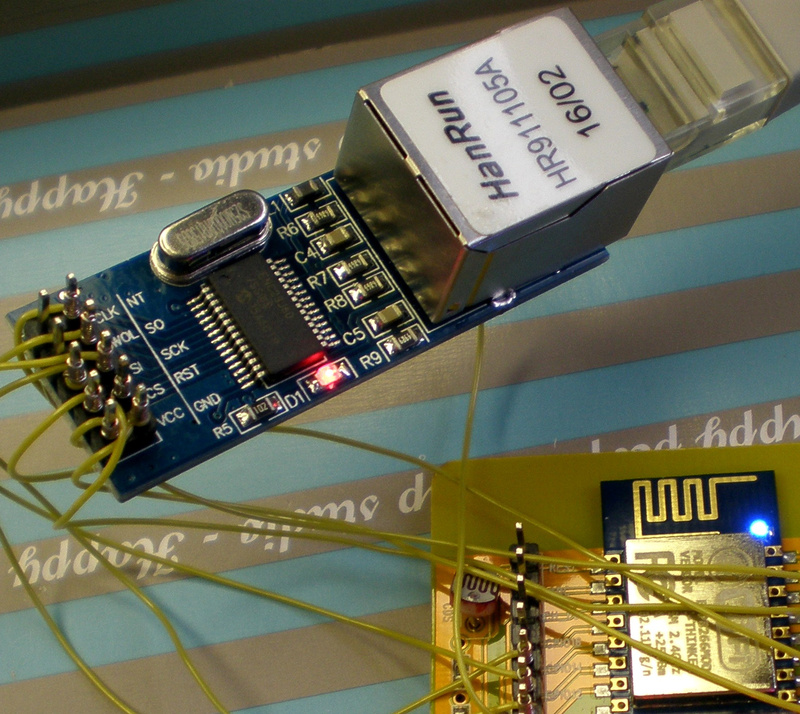 Back in the March/April time frame, Martin Ger updated his ESP WiFi Repeater to support an SPI-connected ENC28J60 ethernet module. The work was quite well hidden, way down the page in a very long README (which catalogues the tremendous amount of work that Martin has put into this project). Martin credits Andrew Kroll “…for his great work on getting [this] right”, so kudos to both of them for a very useful addition. You’ll need to run your ESP at 160MHz and have a decent power-supply to have this mod work effectively, but as Martin points out, once you have the ENC28J60 hardware configured with his ESP WiFi Repeater package, you’ve got yourself a super-cheap, DIY access-point.